Are you looking to start an Exciting Career with an Innovative Team in a Multinational Organization?! Then we have a job for YOU! Apply at Sutherland today! Additional Benefits (Social Insurance – Private Medical Insurance Coverage – Transportation (Door to Door) for night and overnight shifts. 9 working hours including 1 hour Break. Very good command of French and average command of English Language is a must. 0-5 years of experience (Fresh Graduates are also welcomed to apply). 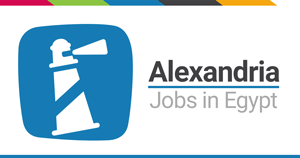 Alexandria resident is a must.